Routine physical exams may miss heart conditions, even in older patients with higher risk for cardiovascular disease. Enabling earlier detection of heart disease, using echocardiography and other imaging technologies, could boost detection and improve treatment. But such tools are not always available in primary care settings, given that they call for certified experts with years of specialized training. The new Northwestern study, called SHAPE – it stands for Seeing the Heart with AI Powered Echo – is billed as the first project evaluating how AI can help guide ultrasound acquisition by certified medical assistants. CMAs work alongside physicians doing many administrative and clinical jobs – taking medical histories, doing basic lab work – but are not usually trained to perform ultrasound exams. As a non-randomized study that will eventually enroll some 1,200 patients at Northwestern, the goal is to see whether those CMAs can use Bay Labs' cardiac ultrasound guidance software, called EchoGPS, to get diagnostic-quality echocardiograms. EchoGPS, which integrates with ultrasound systems, uses AI to give non-specialist users real-time guidance to obtain cardiac views. The study also will assess whether images reviewed by cardiologists with help from that technology could enable patients to have cardiac disease detected in a primary care setting than a standard physical examination with ECG. The SHAPE research is part of an ongoing partnership between Northwestern Medicine and Bay Labs and fits into Northwestern's larger AI initiatives focused on leveraging AI and machine learning to advance the study and treatment of cardiovascular disease, officials said. AI, of course, is quickly becoming an important supplement to medical imaging of all kinds, and professionals are taking notice. So far this month we've shown how University of Virginia Health System leveraged AI for interactive multimedia reports for improved communication among radiologists, and how Mount Sinai is researching convolutional neural networks on its X-Rays. 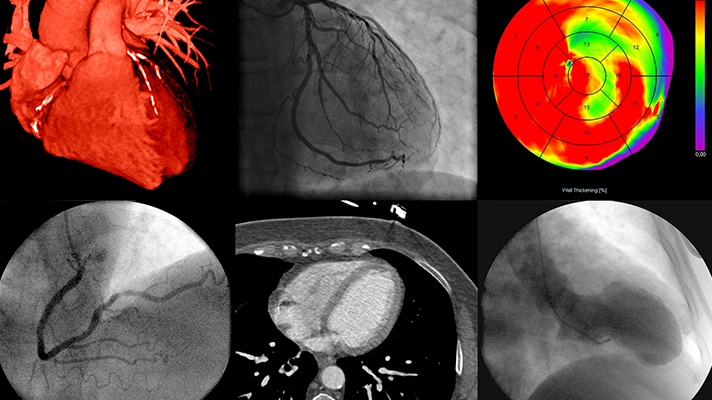 "Deep learning will have a profound impact on cardiac imaging in the future, and the ability to simplify acquisition will be a tremendous advance to bring echocardiograms to the point-of-care in primary care offices," said Dr. Patrick M. McCarthy, chief of cardiac surgery at Northwestern Memorial Hospital, in a statement. "Incorporating our AI software with deep learning technology into clinical practice could allow non-specialist medical professionals to acquire images to support cardiologist interpretation and clinical decision-making and may lead to improved patient outcomes through earlier detection and monitoring," added Charles Cadieu, co-founder and CEO of Bay Labs.